New financial penalties have come into force to crack down on fly-tipping. The majority of householders already dispose of their waste responsibly, however from today (7 January) any householder who fails to pass their waste to a licensed carrier, and whose waste is found fly-tipped, could face penalties of up to £400. The government has also issued guidance to ensure councils use these new powers proportionately, which makes clear penalties should not be used as a means of raising money and should not be issued for minor breaches. Potential fly-tipping by rogue operators, and the risk of a penalty, can be simply avoided by using certified waste carriers. Householders can search for registered waste carriers quickly and easily on the Environment Agency’s website. Latest figures show the government’s crackdown on fly-tippers is delivering results, with no increase in the number of incidents for the first time in five years for the 2017/18 year. To tackle the potential over-zealous enforcement on households, in 2015 the government removed criminal penalties for breaches of household bin requirements in favour of a new civil penalty system. Councils were urged to use letters or notices on bins to remind people of appropriate practices. This measured and balanced approach, set out in further guidance, continues to allow councils to focus their efforts on the small minority who cause genuine harm to the local environment through irresponsible behaviour. The guidance for councils on issuing the fixed penalty notices will continue to ensure they strike the right balance. This guidance also says that local authorities should consider whether the householder is a vulnerable person, for instance due to age related ill-health or a mental or physical disability. We have also committed to clarifying charging arrangements for waste disposal in relation to small scale DIY construction activities carried out by ordinary householders, which the government has made clear should not be charged for at Household Waste Recycling Centres. 88% of councils agreed a new fixed penalty notice would help tackle fly-tipping. 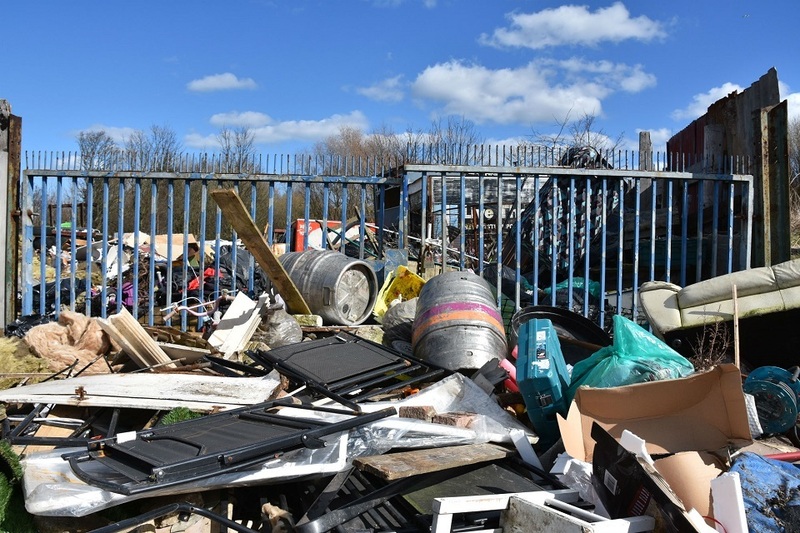 We have already given councils the powers to hand out on-the-spot fines to fly-tippers, and made it easier for vehicles suspected of being used for fly-tipping to be stopped, searched and seized. Last year councils issued 69,000 on-the-spot penalties for fly-tipping offences.